This is a little trick I discovered a few months ago. 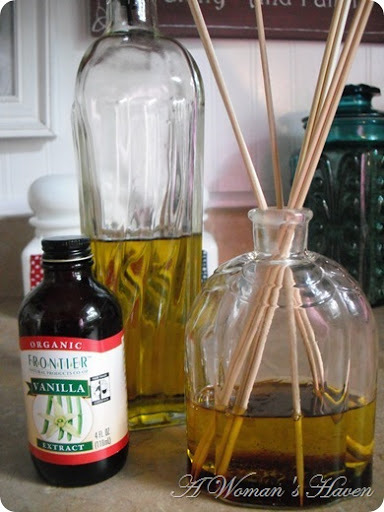 I had a store bought fragrance diffuser that had dried up and was ready to be thrown out. 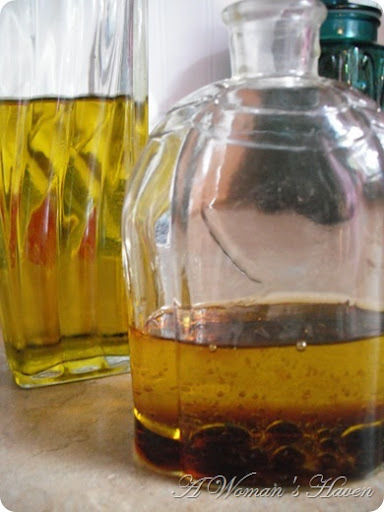 I decided to try my making my own oil fragrance with a few things I had on hand around the house. 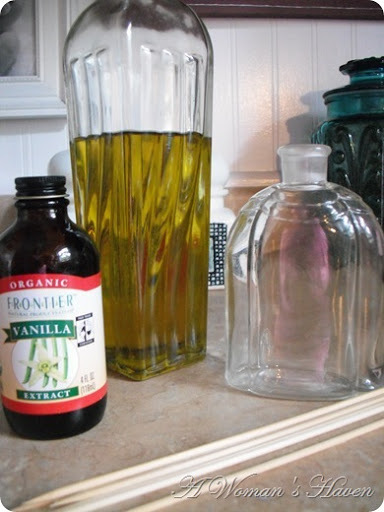 Oil, Vanilla Extract, wooden skewers, & decorative bottle. 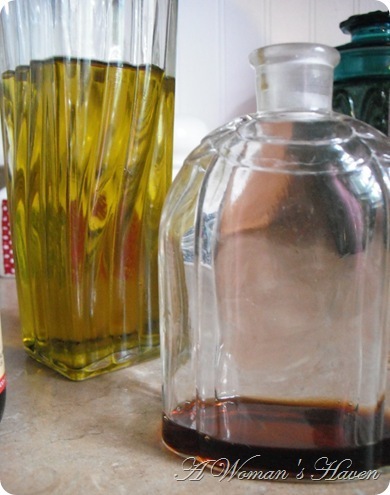 Start by adding vanilla extract to the bottom of the glass bottle. The final step is to insert the wooden skewers. In less than a week you will have vanilla scent filling the space where you sat the diffuser.